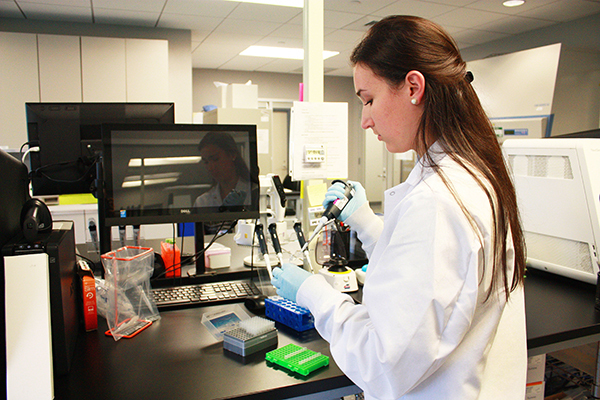 The greater affordability of and advances in sequencing technology made since the project was completed in 2003 (see “The Human Genome at 15“) has made it much more accessible. For example, the U.S.-initiated Personal Genome Project and the U.K.-based 100,000 Genomes Project, among others, are making use of whole-genome sequencing (WGS) to advance personalized medicine research. Veritas Genetics is ramping up its operations for what its founders believe will be nearly “universal demand” for personal genomics. Last year the sequencing giant Illumina introduced new technology designed to enable a ‘$100 genome’, suggesting that the technology will soon become even cheaper than the current $1,000 benchmark. Church believes it is already cost effective when used to test for severe Mendelian disorders that have a large associated treatment cost. Grzymski agrees noting that there is evidence to suggest personal genome sequencing can be cost-effective when used to test for BRCA1/2, Lynch Syndrome, and Familial Hypercholesterolemia. It is predicted that approximately 2 billion human genomes will be sequenced by 2025, which, if true, will be an enormous amount of data to process. There is agreement among many scientists that individuals participating in personal genome sequencing should have direct access to, and control of, their genetic data. But that there should be some clinician or genetic counselor involved to help minimize misunderstanding and misinterpretation of the information. The speed of advancement in the field of genetics means that many primary healthcare providers do not know currently know enough about interpreting genomic data to adequately advise their patients on the implications if they choose to have their genomes sequenced. 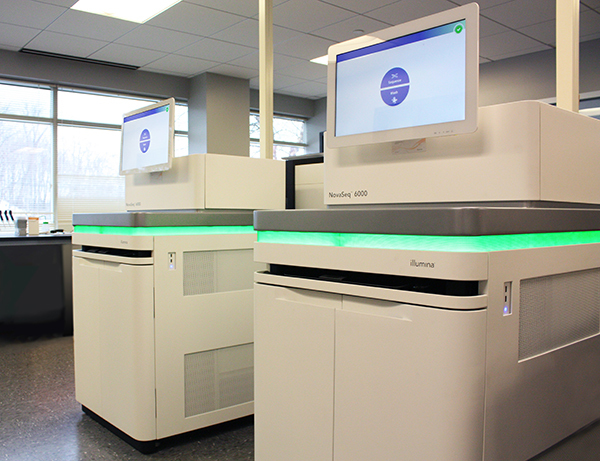 Veritas Genetics employs the latest sequencing technologies including these NovaSeq 6000 sequencers from Illumina. In 2013, the U.S. Food and Drug Administration stopped 23andMe from selling genetic health risk tests, citing concerns about accuracy and potential misinterpretation of results. This ban was lifted last April and in a statement released in November, the agency went one step further and announced that new genetic health risk tests would be “exempted from premarket review under certain conditions,” essentially making it easier for companies like 23andMe to reach the market. “Given the rapid development of commercially available screening panels, I think we’re getting a lot better at approval, speed, and development, although there’s work to be done,” commented Jacob Sherkow, a specialist in legal issues affecting the bioscience sector at New York Law School. He noted there are many legal problems that could arise from personal genome sequencing including patent infringement, regulatory issues, and liability concerns—for example, a patient choosing to get a preventative mastectomy based on a cancer screening test that is later found to be unnecessary. To address potential privacy concerns surrounding an individual’s genomic data, the Genetic Information Nondiscrimination Act (GINA) was introduced in the U.S. in 2008. with similar laws passed in other countries. But GINA has been criticized for not providing protections related to life, long-term care or disability insurance. “It goes some way towards protecting people, but I think there definitely still needs to be a lot more societal conversations about these broader issues,” commented Kung. An important consideration for any form of genetic health testing is how useful it is for the person being tested to know about a specific variant, particularly if it increases the risk for a late onset disease with no current treatment. This is something Veritas is working on to incorporate in their testing services. “Even for something that’s very late onset like ApoE-E4 that increases the risk for dementia, I think it’s really important that people opt in to get that kind of information,” said Estep. By some estimates, approximately 2 billion human genomes will be sequenced by 2025. “We are probably on a tipping-point today, which leads from close to zero demand to nearly universal demand for personal genomics, analogous to the change from zero to millions of website users in 1993,” commented Church. 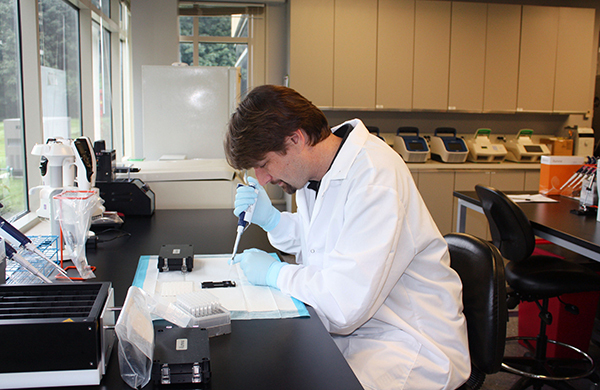 The value of personal genome sequencing is becoming more widely recognized. While those who have had their genomes sequenced to date are mostly wealthy ‘early adopters’ or individuals taking part in research, it seems probable that this technology will become mainstream within the next decade. The Personal Genetics Education Project and similar organizations are rapidly improving the genetic literacy of the current and future generations. 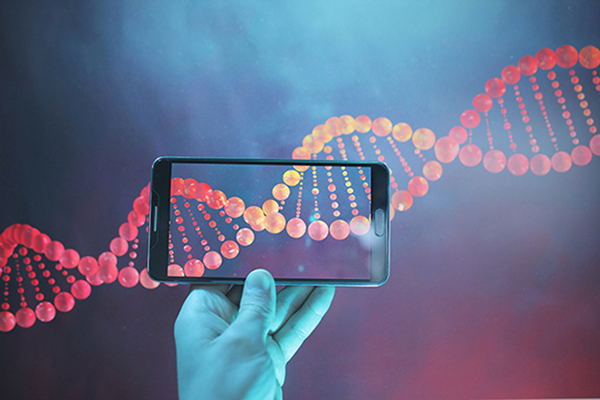 Software developers, such as those using the Sequencing.com platform (see “Revolutionizing Genetic DNA Analysis“), also have a key role to play in helping healthcare professionals and individuals manage the enormous amounts of data produced through personal genome sequencing. “By 2025, the amount of genetic data is going to start to become the largest data source within the world. That means it’s really about how we protect that data and how we provide value surrounding it to the people that own it,” concluded Sequencing.com’s Colby. This article was originally published in the March/April 2018 issue of Clinical OMICs. For more content like this and details on how to get a free subscription, go to www.clinicalomics.com.